Let’s play a game for a second. 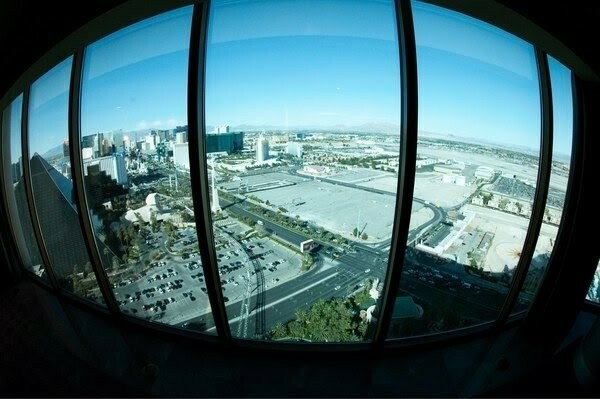 Just assume the “official – official” story is right about Steven Paddock committing suicide. They say he killed himself prior to authorities “breaching” the door. The strange thing snit this story is that they never officially came out and said how he killed himself. We assume that he put the gun in his mouth and blew his brains out of the back of his head. The blod clotting coming from the back of his head suggests this. But like I mentioned already, there are 2 blood stains. One was drying beneath the clotting blood from his head and I theorize that he was first shot in the chest and then had a gun pit in his mouth after he had been dead for atleast an hour. I think the question to “if this is actually the real Steven Paddock dead on the floor” is irrelevant at this point. I mean who really cares who it actually is. That point isn’t even relevant at this stage of the game. So the question should be, how was this man killed? I think my theory fits this guys death better than anything I’ve heard. He was first shot in the chest and then in the head through the mouth. 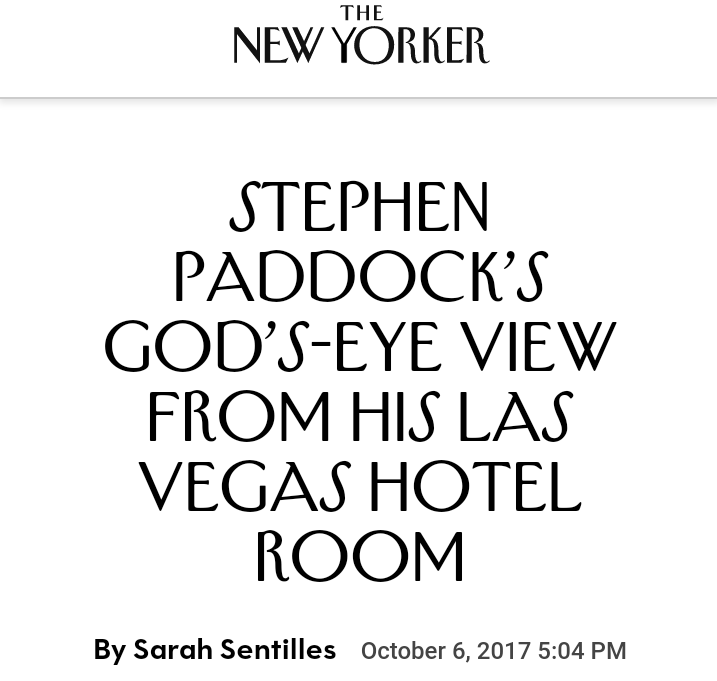 If you look at the headline above from the New Yorker, it says this is “Stephen Paddock’s God’s Eye View”. 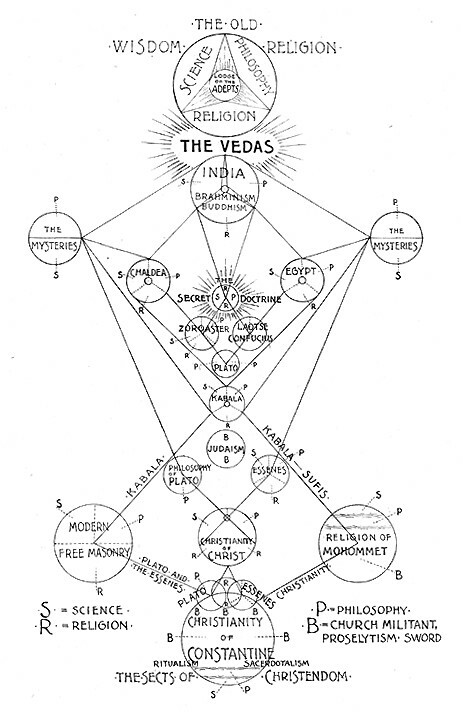 In Gnosticism knowledge and wisdom comes from the brain, this is gnosis. This is an interesting headline because they are calling Paddock god like and there is the hint at the all seeing eye. And don’t forget, to the left of the Mandalay Bay is the Luxor with its black pyramid that shoots out an illuminating light through the capstone. We have a double reference here to their “all seeing eye”. Just a few days ago a story came out that authorities have taken the brain of “Paddock” and it has been sent to Stanford University for some tests. Really? A guy who had his brain blown out by a gun is now going to have tests done on it? How is that even possible if this is even real? Wouldn’t there be fragments on the floor? Or now maybe they shot at a low angle through his mouth that came out his neck? Who knows, but I find it strange they are taking the brain for tests to Stanford. “The brain of Las Vegas gunman Stephen Paddock has been shipped to a specialist forensic facility where it will be screened for abnormalities under a microscope, police chiefs revealed. 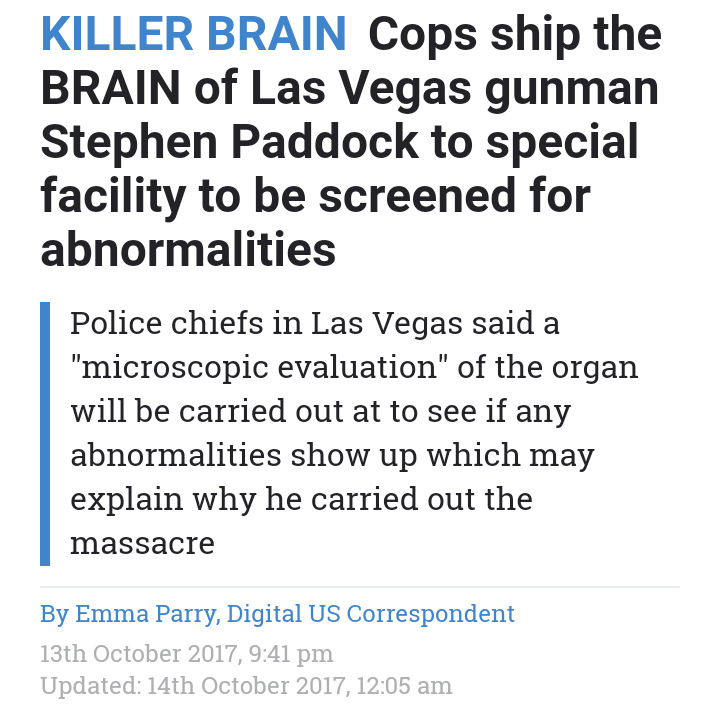 Sheriff Joe Lombardo said that no abnormalities had been found in a “visual” exam of the organ but it had now been sent for a “microscopic evaluation” which may reveal brain abnormalities which could have caused Paddock to carry out the worst mass shooting in US history. “There has been an autopsy performed on Mr Paddock, the suspect, and in an early evaluation there was no abnormalities observed visually,” Sheriff Lombardo from the Las Vegas Police Department said on Friday. “As as a matter of practice in forensic science his brain has been shipped to an appropriate evaluation facility in order to take a microscopic evaluation of the brain. Twisted Paddock shot dead 58 people and injured 546 others as he rained bullets down over a crowd of concert goers from his suite at the Mandalay Bay hotel on October 1st. He had smuggled a cache of 23 weapons into the hotel, including AK-47s and “bump stock” devices to make his guns fully automatic. 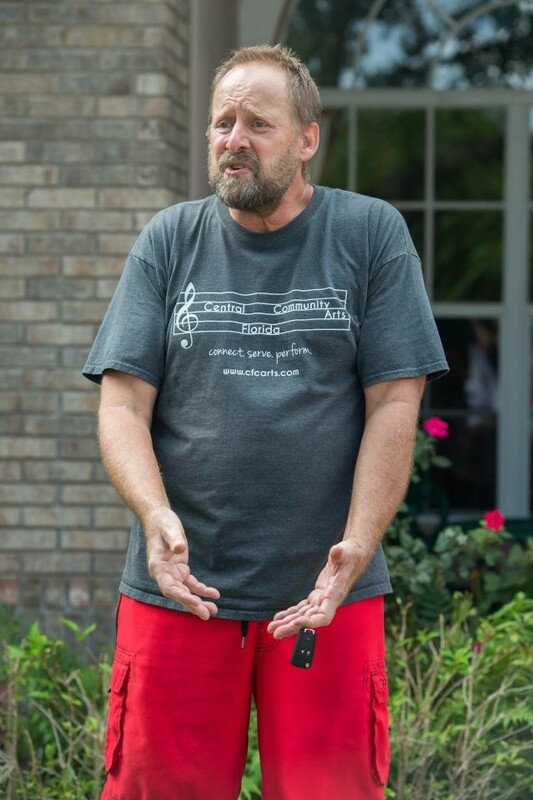 So far no motive has been found – and some – including the killer’s brother Eric Paddock – have speculated whether there was something wrong in his brain which caused him to flip out and carry out the atrocity – such as a tumour. “I hope to hell they find when they do an autopsy that there’s a tumor in his head or something, because if they don’t, we’re all in trouble,” Eric said in an interview after the shooting. 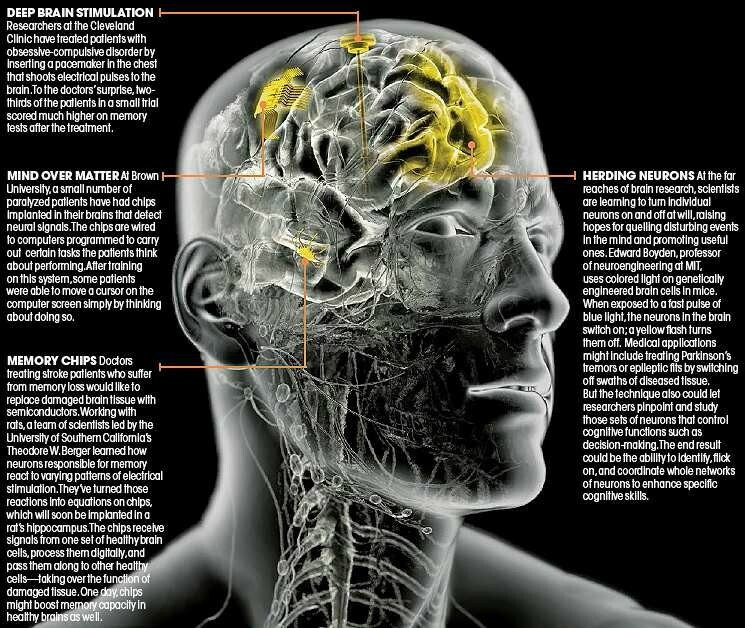 Brain abnormalities have been found in killers in the past – for example a tumour was discovered in the brain of mass killer Charles Whitman who killed 16 people in Austin in the 1966s. 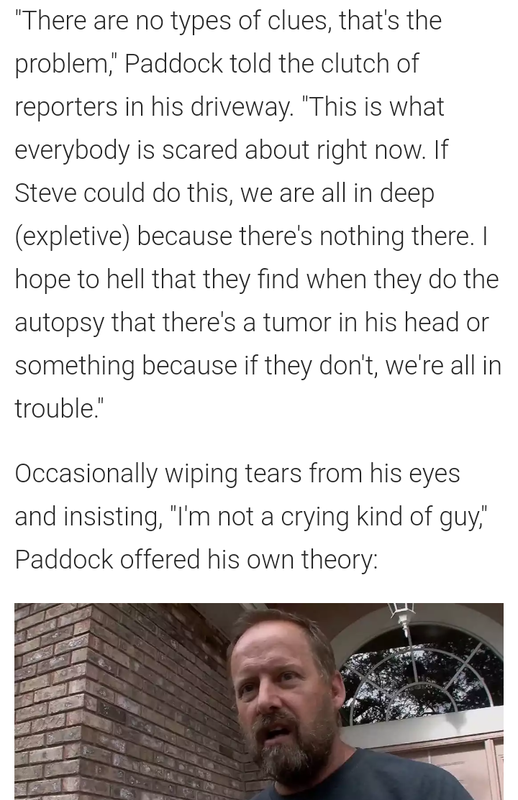 Occasionally wiping tears from his eyes and insisting, “I’m not a crying kind of guy,” Paddock offered his own theory: Paddock’s brother Eric said, “There are no types of clues” to his brother’s actions. “That’s the problem.” “Something horrible happened to my brother and whatever happened to him in his head, it made him go over the edge like this,” he said.” (https://amp-cnn-com.cdn.ampproject.org/c/s/amp.cnn.com/cnn/2017/10/06/us/unknowable-stephen-paddock-and-the-mystery-motive/index.html?usqp=mq331AQCCAE%3D) And what does Eric mean by this comment? “If Steve could do this, we are all in deep (expletive) because there’s nothing there.” He knows there was some mind control gong on here not only with his brother but himself. That is my speculation. So what is really going on here? They say they are sending it to a “special facility” for tests to be done on it. They want to determine street the fact if this brain was crazy or not. I bet what they will find is that it was controlled by demonic mind control and of all places, Stanford is the place to go to. Read the article below. 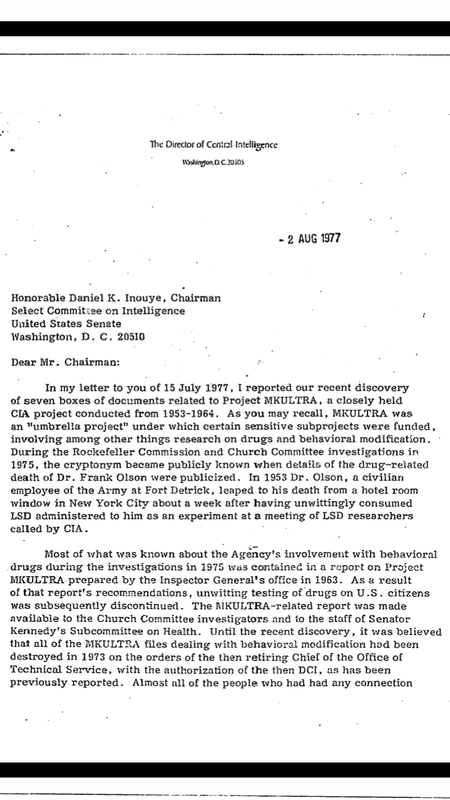 Stanford was one of the first university’s besides Columbia that the CIA used as a testing place for MKULTRA ir what we know as LSD based drug induced mind control. So them actually sending this brain to Stanford says a lot in this whole event. This was the home of MKULTRA. 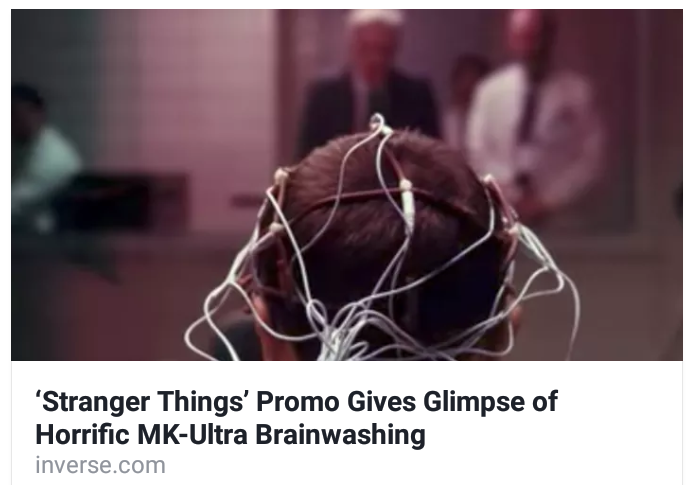 Please read this for an overview (https://m.thevintagenews.com/2017/10/01/project-mkultra-the-cias-secret-illegal-mind-control-program-with-tragic-consequences/). LAS VEGAS — The coroner in Las Vegas says the body of the man who unleashed the deadliest mass shooting in modern U.S. history has been sent to Stanford University for study. Clark County Coroner John Fudenberg said Friday that an autopsy was completed on 64-year-old Stephen Craig Paddock, but a finding on a cause and manner of his death is not expected for several months. 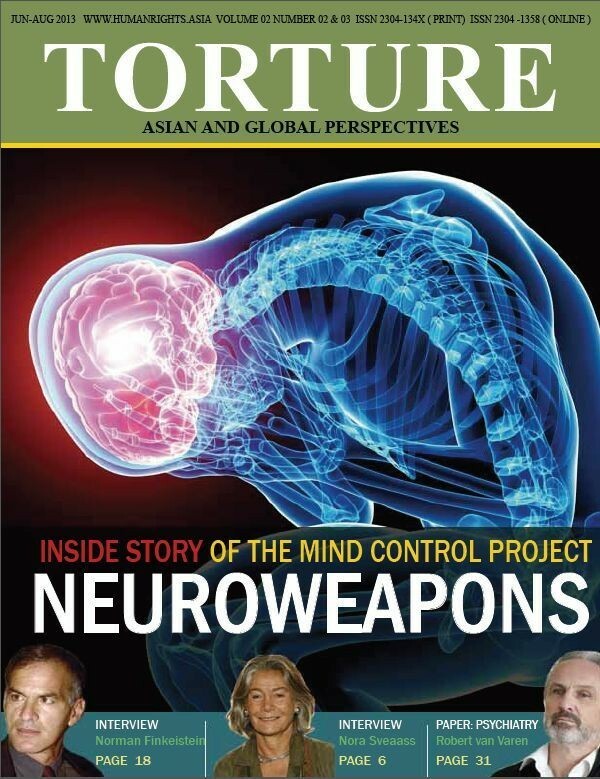 You can find papers connecting the MKULTRA program to Stanford here. 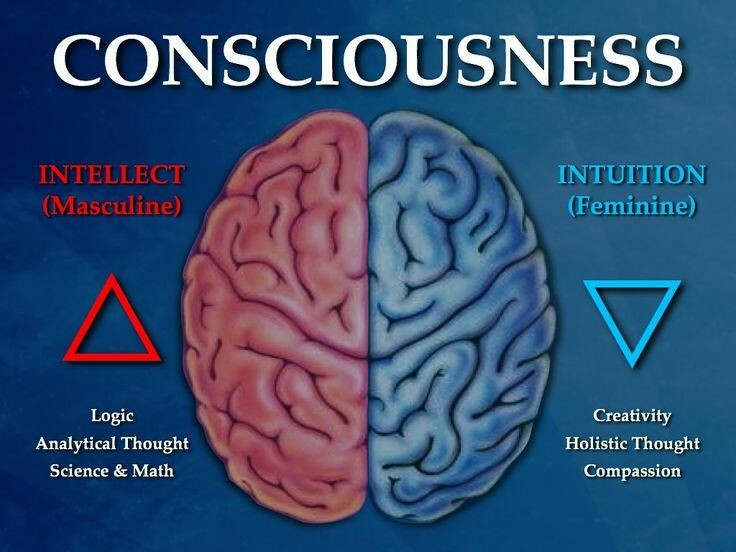 I thought this image was interesting in that the brain area is represented by The Lodge of Adepts and guess what it is shaped like? The triquetra of Mandalay Bay. 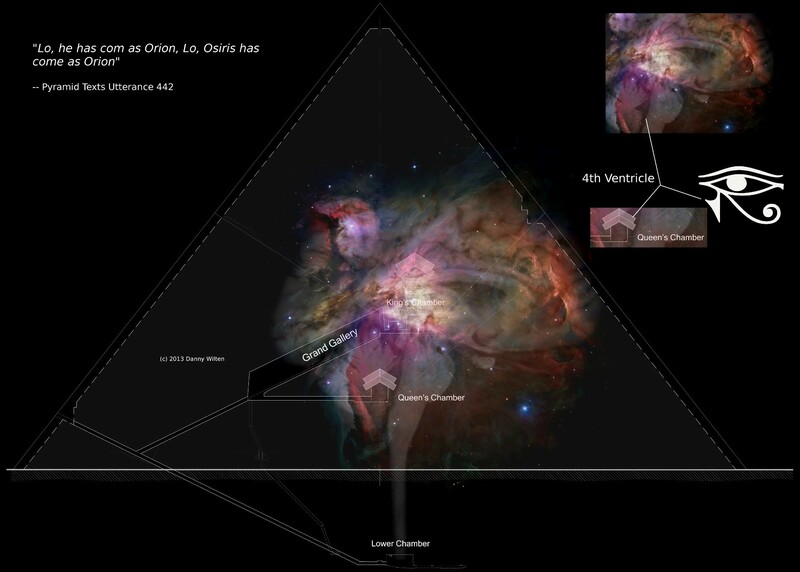 “Osiris, as spirit, often visited the earth and incarnated as a man. Men felt that a god had descended, but he had a human form. Every exalted being who visited the earth appeared in the shape that man then had. This shape was then such that one still, saw that light-body, that remarkable head-ornament, the lantern of Osiris,** which has been described in a pictorial way as the eye of Polyphemus. This is the organ, the lantern, which at first was outside the human body, and which then transformed itself into an inner organ in the brain. 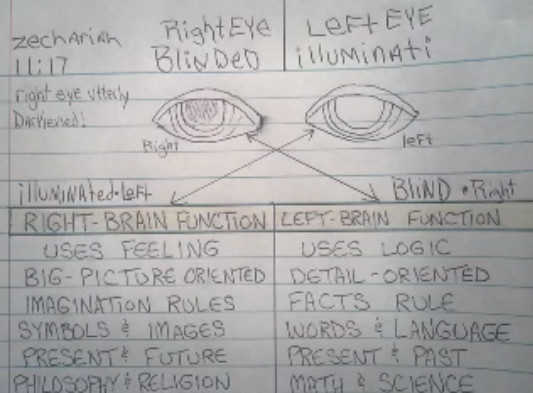 Is there “All Seeing Eye” in the pyramid actually the brain? Everything in early art is a symbol of actual forms…what took form as brain and spinal column, and on this spinal column the twenty-eight aspects of Isis and Osiris work from outside. 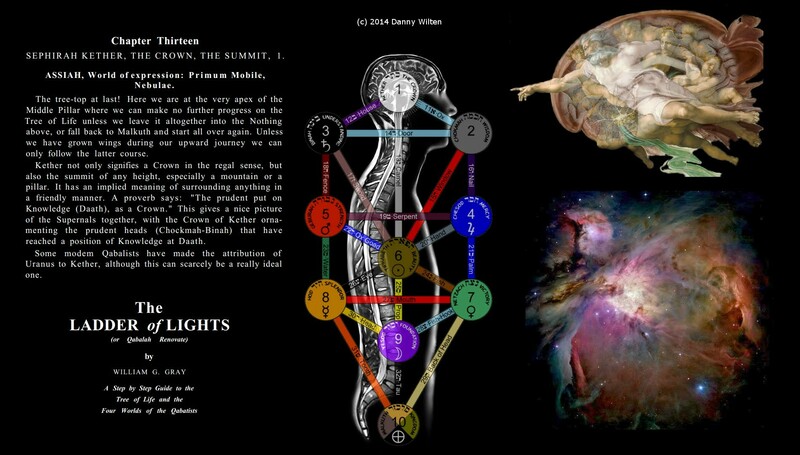 Isis and Osiris are the shapers of all this, and in the tentacles that the brain sends down into the spinal column, Osiris works upon the spine. The Greeks experienced this also, and as they became acquainted with the Egyptian mysteries they recognized that Osiris was the same as the god whom they called Apollo. They said that the Egyptian Osiris was Apollo, and that, like Osiris, Apollo worked upon the nerves so as to achieve a soul-life within man…Now in a simple way, let us try to view this formation. Let us think of the brain as it might be sketched. Notice the “ladder” or “third pillar” is what leads to earthly wisdom and knowledge. This was the symbology in the three pillars of Freemasonry. 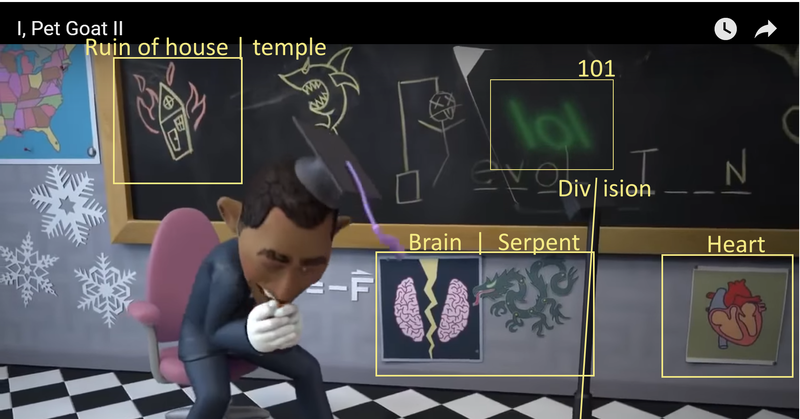 There is also a brain reference in I Pet Goat. Notice I Pet Goat with the brain on the wall with a lightning bolt seperating the two hemispheres. This lightning is symbolic of Lucifer/Satan falling from Heaven and this also represents Satan using his form of mind control. Also notice how the Dragon is going after the right side of the brain that is your creative abyss compassionate side of your brain. Satan wants to take away this side of your thinking and he does this through a form of mind control. Whether it be through handlers, t.v. or food, he has many ways to achieve this. This leads us to this. There have been 4 stages to AI since its inception in the 50s. They are at the 4th stage now that will emulate all brains…not just one. 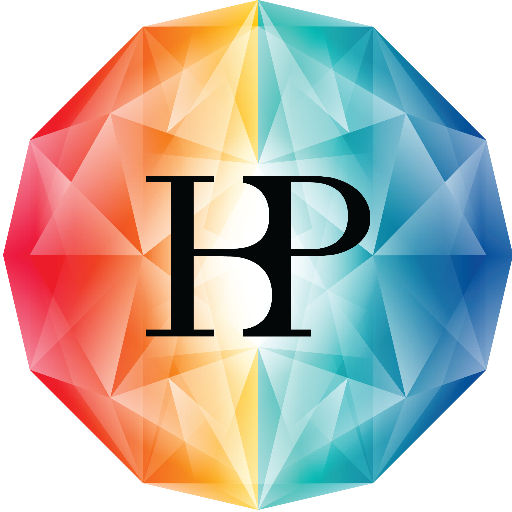 “In a context where institutions and professionals have to fight harshly to grab the (few) research funds, the recent decision made up by the European Union of including the Human Brain Project in its “flagship projects” for the next decade, the so-called FET[i], has quite outraged the scientific community. 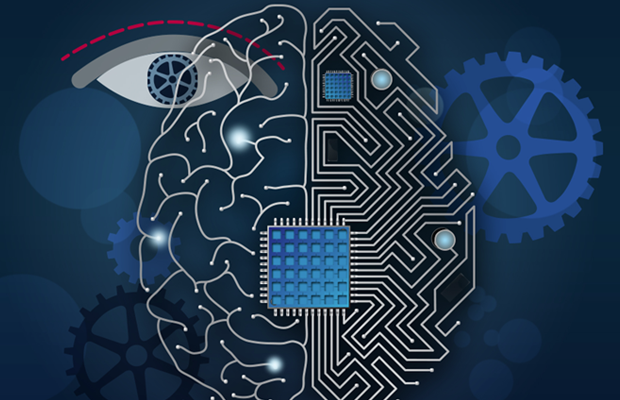 The surprise also struck for the consequent money allocation: one billion euros in ten years, to create a complete simulation of the human brain through a network of supercomputers. Many have seen all of this as an unrealistic target, or even an ill-posed problem[ii], but this and other similar projects do not come from nowhere[iii]. 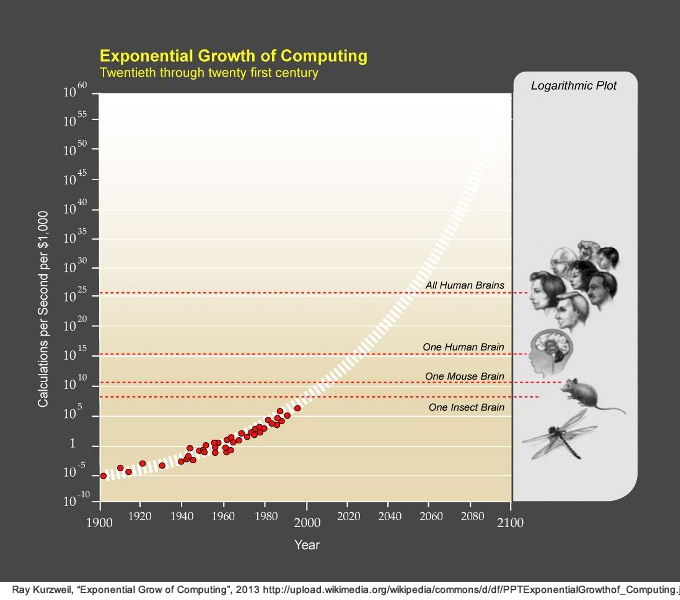 They have about 50 years of history behind, collected in the discipline known as Artificial Intelligence (A.I.). 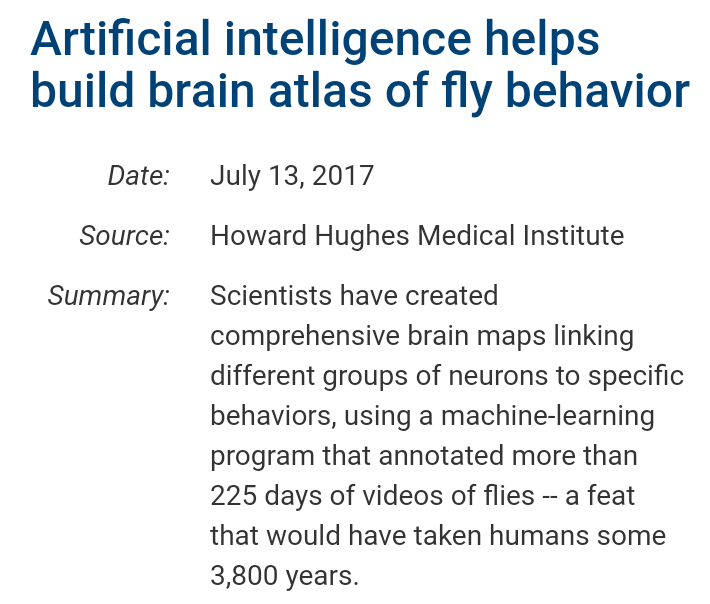 In light of the brain being the ultimate form of control over people, I thought that this was interesting in regards to AI and fruit flys. Remember, Beelzebub is the Lord of the Flies. The program acronym even caught my attention, JAABA. It reminded me of the Masonic hidden maybe Jahbulon without the Osiris reference. It would then be JahBaal instead. 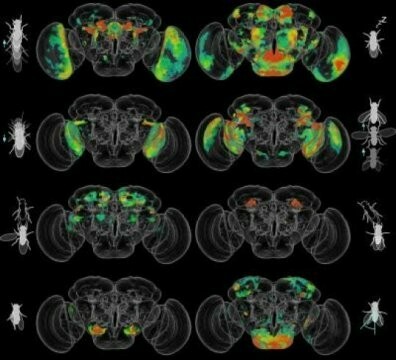 “A smart computer program named JAABA has helped scientists create a brain-wide atlas of fruit fly behavior…Though the brain of the fruit fly, Drosophila melanogaster, is only about the size of a poppy seed, it comprises roughly 100,000 neurons which interact in complex circuits to control an extensive array of behaviors. One last thing I want to bring up symbolically about them taking the brain of this dead man is, the occult and Masonic reference to the Horn of Ammon and the human brain. 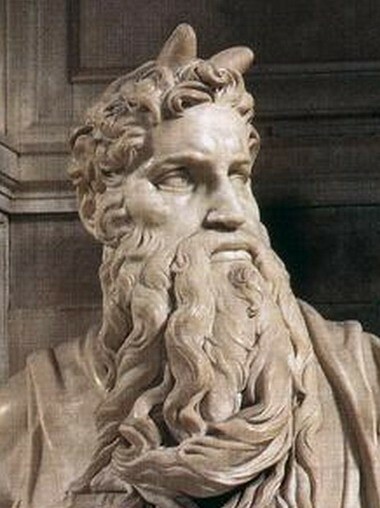 Ammon is another name for Jupiter. And this whole Route 91 Harvest and AI mind control connection wouldn’t be right if there wasn’t another Jupiter 9/23 connection. Abe there is obviously. ” Lying in the middle of the brain is part of the temporal lobe called the Ammon’s horn (Amuns Horn) or the hippocampus. In neuroanatomy, Ammon’s horn is a metaphor that relates to the gods and the brain. Ammon’s horn is the hidden creator, king of the gods, and the lord of the thrones of the world. Amun is ‘The hidden one. '” Lord of the visible and the invisible worlds, he was the mysterious soul of the universe which reveals itself in light. The God Amun or Ammon in ancient times was usually depicted as a ram with curved horns, a man with a ram’s head, or a man with two upright plumes as a headpiece. Ammon’s horn had special significance to our ancestors. In Egyptian mythology, the head and the horn of the ram were symbolic of activity and creative energy. This was signified in God’s under such names as Amun-Ba or Ra and Jupiter Ammon. Jupiter equated with the Egyptian deity Amun after the Roman conquest of Egypt. The god Jupiter could assume the form of a ram, in which guise his name was Jupiter-Ammon. 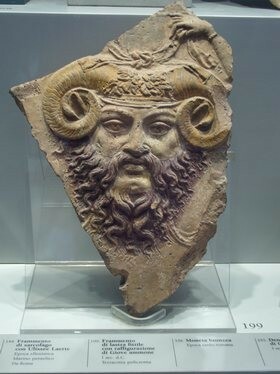 Jupiter is the Father of the day and as mentioned above, Ammon is “The Lord of Thrones and “The Hidden One.” Many ancient images depict Jupiter Ammon under the figure of a ram, or on medals and coins he appears in human shape with ram-horns growing out beneath his ears. I have said from the beginning that this Route 91 Harvest was to achieve the ultimate in mind control. They want to control the mass public through fear and terrorism and they are doing a great job as of right now. 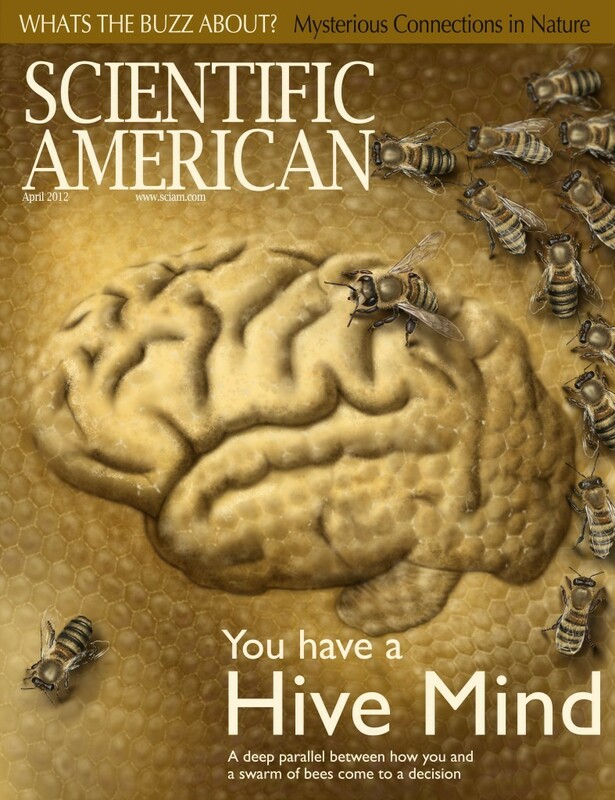 They have created this hive mind “consciousness” where everyone is starting to think the same. You have two sides of this coin and we are seeing it in social media as far as the research goes for this event. Matter of fact, people are starting to think the same throughout the world.